I have found in my own experience, that poetry provides a perfect suggestion for reverie and allows me to explore ideas for painting quite freely. There is an analogous relationship between poetry and painting- both call forth a singular image. It is a smooth path to the imagination through poetic image both suggested or implied. It also provides a fertile ground for the imagination to present the unexpected. By providing a pathway to reverie one can be open to those things that lie hidden in memory or the unconscious. When we experience effective dreams they, similarly, present something that is not premeditated presenting images with surprising efficacy. 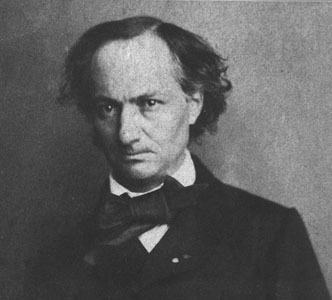 Baudelaire describes his experience as one who, “has undergone a spiritual operation, a revelation.” This experience, because it was so unexpected, releases the imagination from its ordinary bonds, and transports the listener/viewer to another place that is intimate and profound – creating an isthmus between one’s inner life and the world. One knows when one has touched this place because ever after there is a deep longing to return to this intimate place. It is a “nostalgia”, a longing for that profound contact with the self. “It is in this gift for suffering, which is common to all artists but which is all the greater as their instinct for the beautiful and the exact is more pronounced…”, (Ibid.p.119) that propels one to seek again this visionary experience that forever binds the artist to the path of the imagination. Nothing else will satisfy the soul any longer. This is more true than it ever was; given that we have no common myth we must present our own and hope that others understand its narrative.